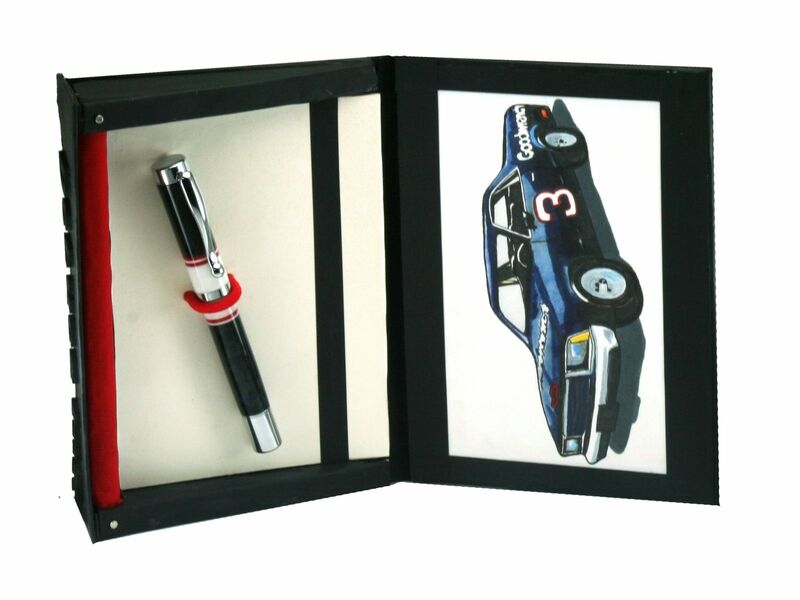 This Racing inspired rollerball is constructed by hand over many hours. 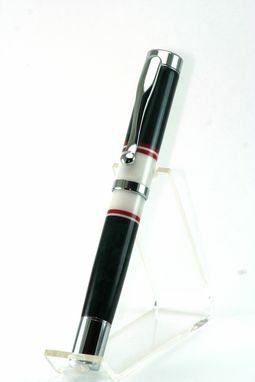 Featuring a screw style and segments of Black, Red, and White acrylic. Chrome plated for durable everyday use. Matching box courtesy of DeLuca ink. 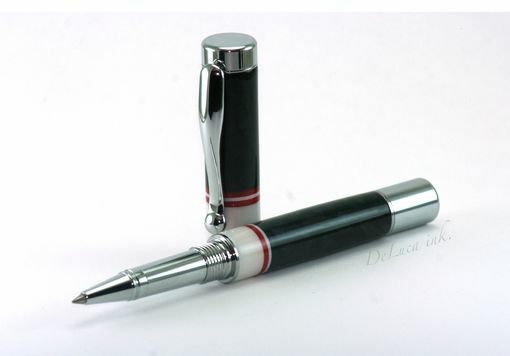 Featuring a Hand Illustration of Pen, Pencil, and Prismacolor Marker, with magnetic enclosure.